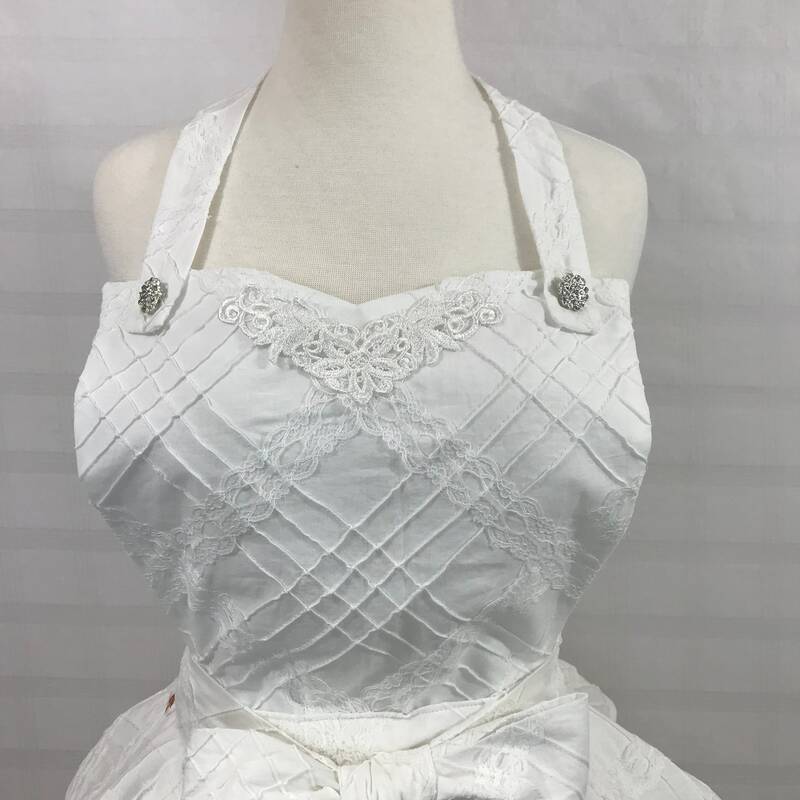 Beautiful one of a kind bridal apron for that very special bride! 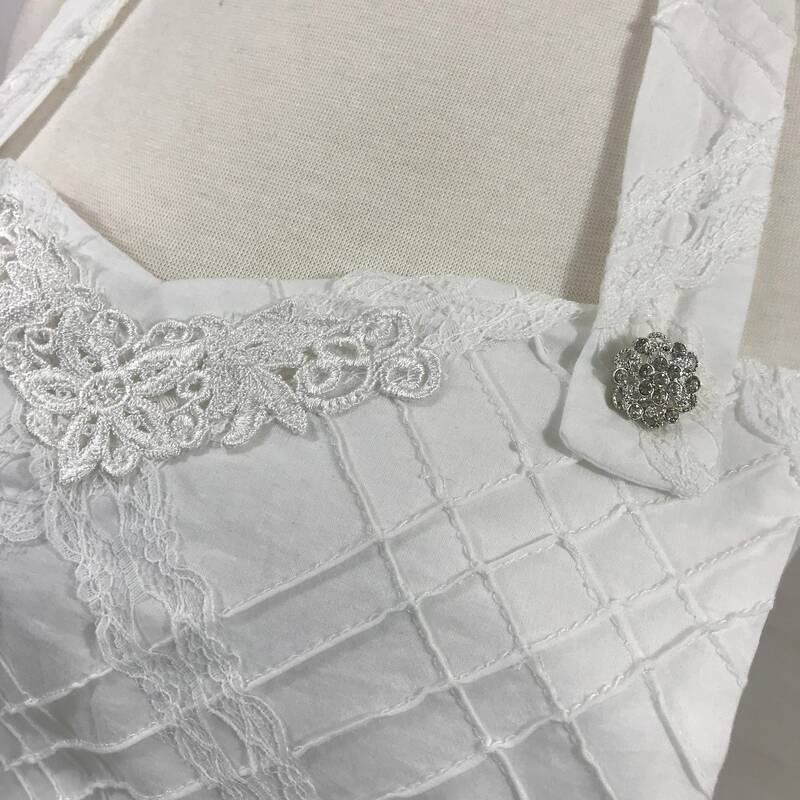 This is a most gorgeous white cotton fabric with like a pin tucking and lace on it. 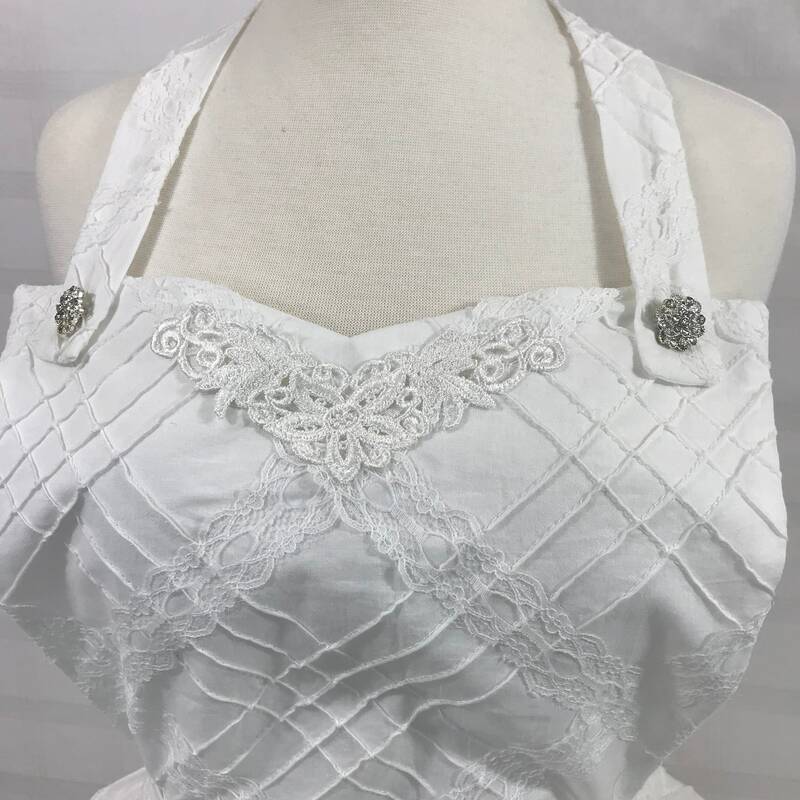 I've placed crystal buttons on the straps on the sweetheart neckline bodice. 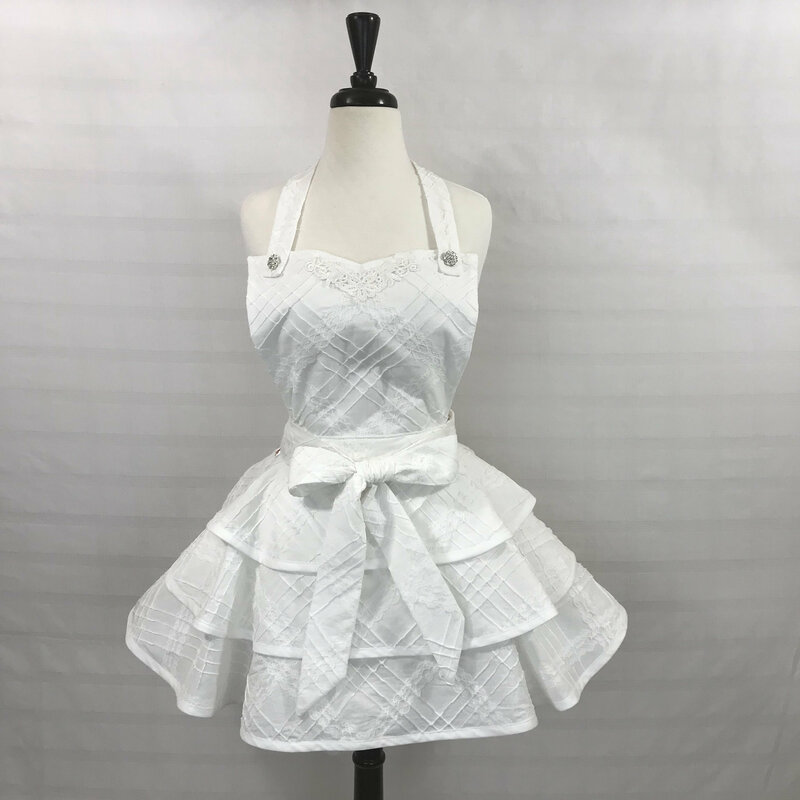 This is for "cooking in the kitchen or out "! 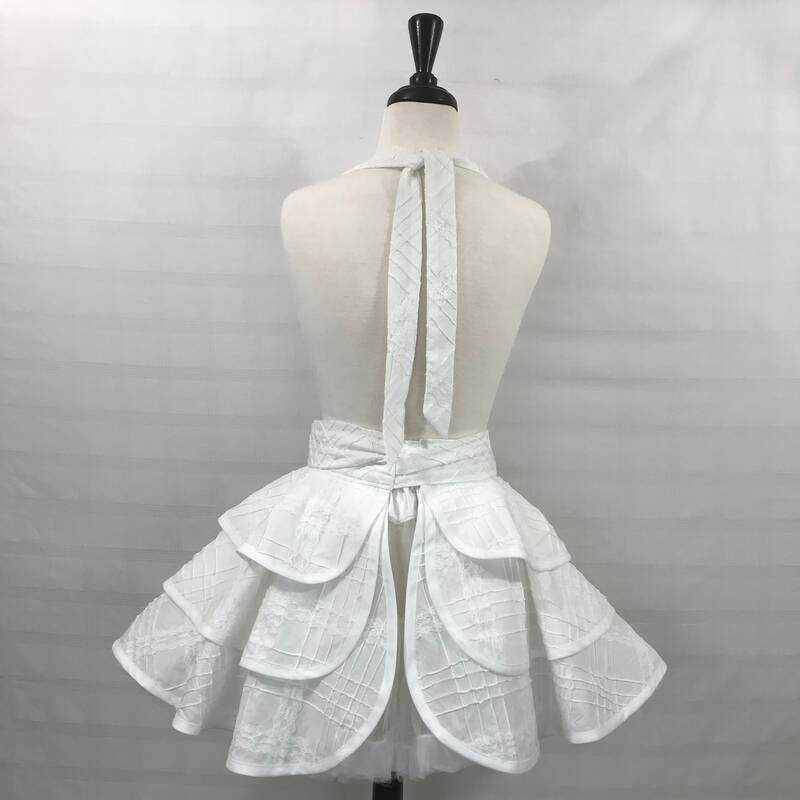 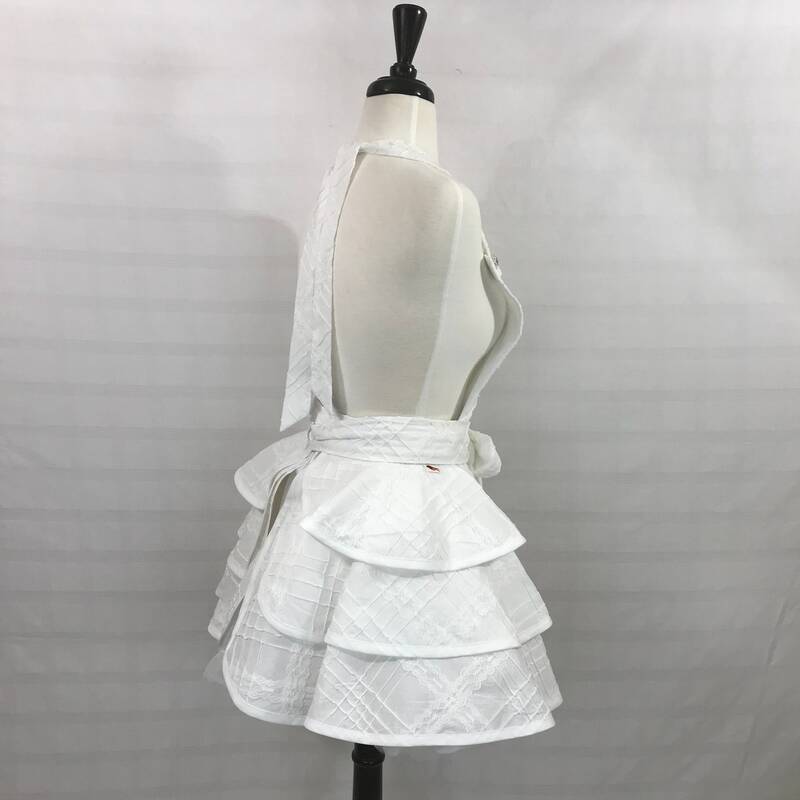 The bride will feel very elegant in this couture apron! 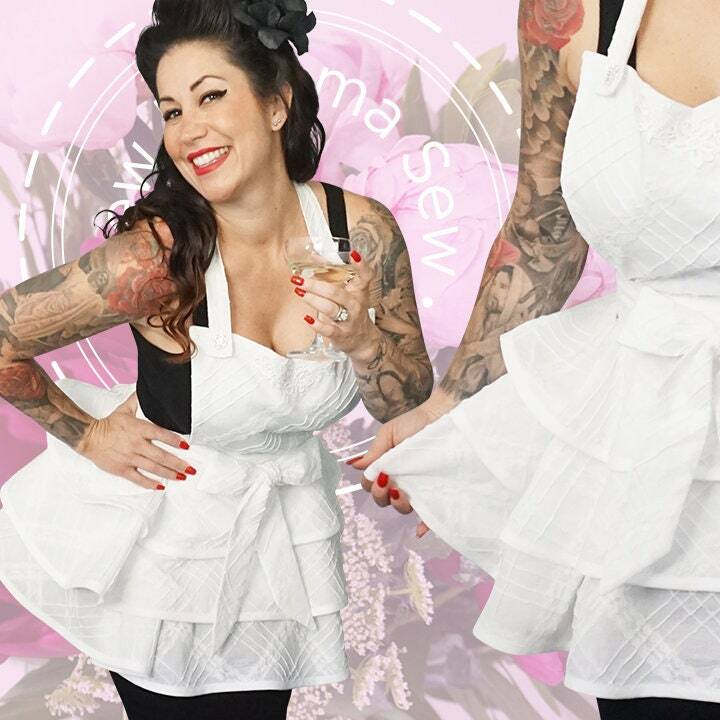 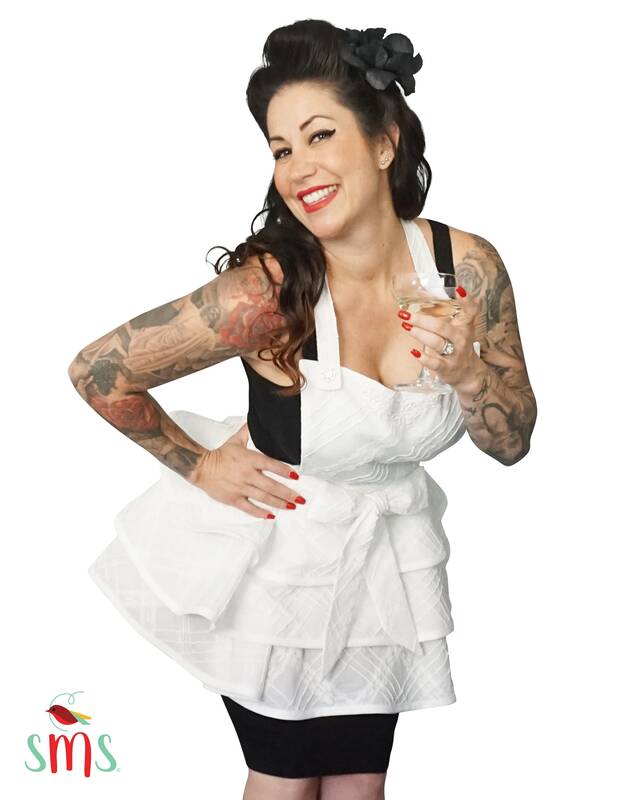 Give this as a gift for a bridal shower, or keep it for your own collection of aprons!